I have just started a month-long artist residency at La Gare Numérique in Jeumont (northern France) to finalise our performance art project Ooo-Ya-Tsu. 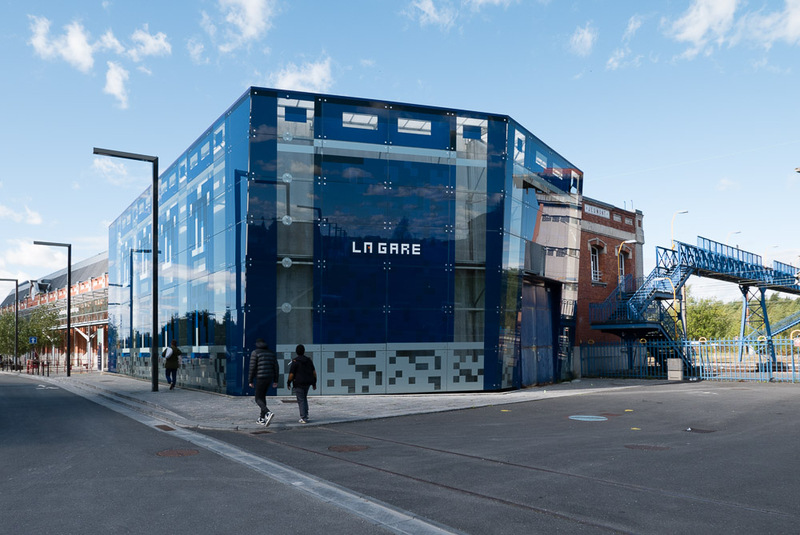 Located on the Belgium border, La Gare Numérique is a former train station, transformed a few years ago into a platform for the development of arts and digital technologies, offering state of the art facilities for artists, dancers, musicians and makers to develop and present their projects. La Gare numérique will also be hosting the first public performance of Ooo-Ya-Tsuon Friday 9th October 2015, at the end of our artist residency. After L'Aéronef, Le Cube, La Malterie and l'Hospice d'Havré, La Gare Numérique is the fifth art centre to host us for the development of our collaborative art project Ooo-Ya-Tsu, a live drawing and sound performance I am working on with art collective Qubo Gas and musician DDDXIE. Update: the public performance has been announced!